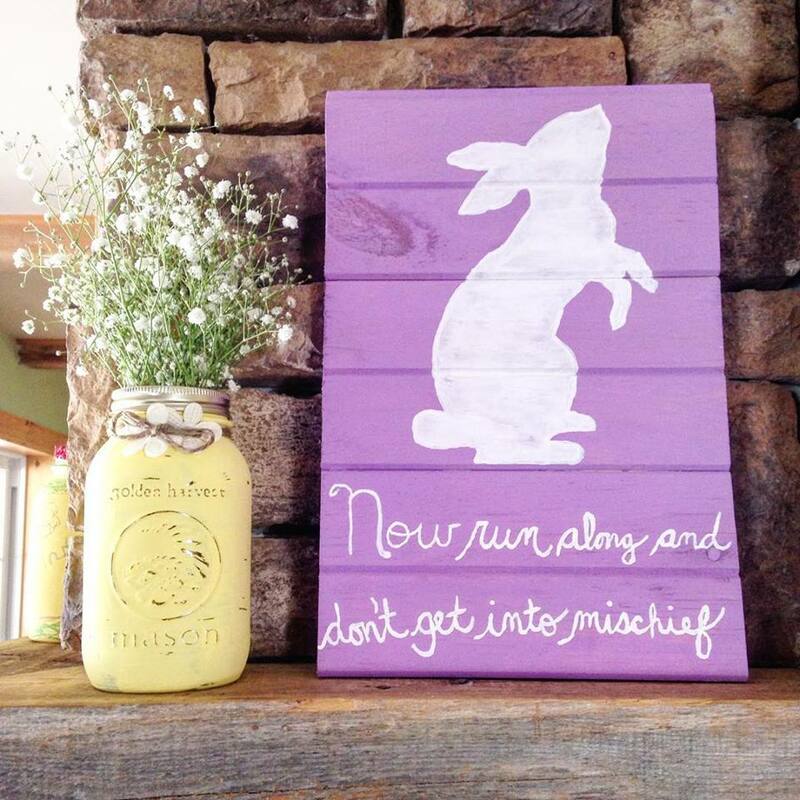 Easter is only a few weeks away. 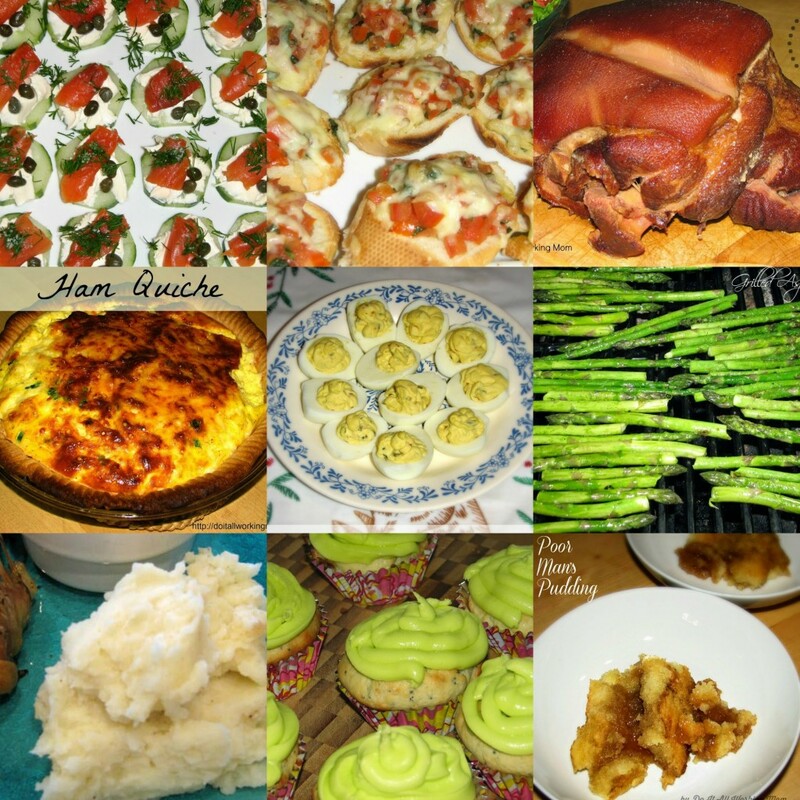 You probably have plans to entertain your family for a great Easter Sunday meal. 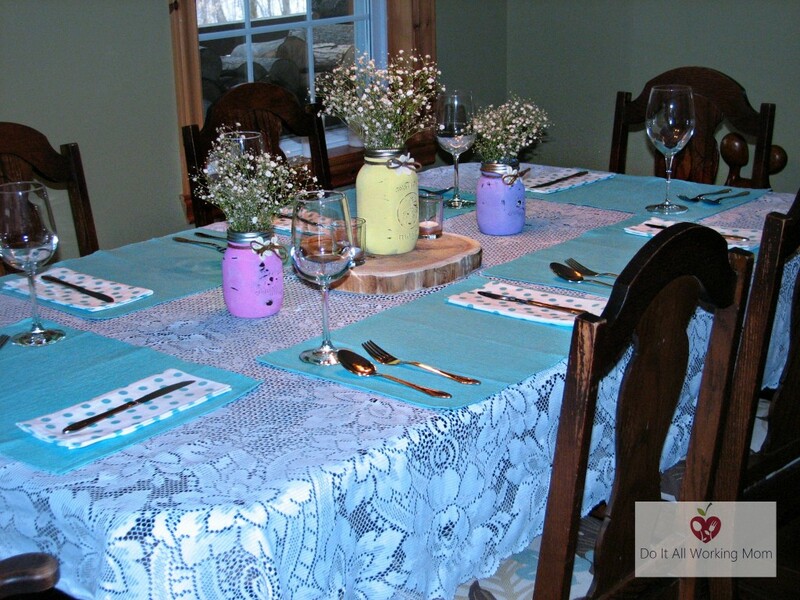 I have a few inexpensive and Simple Easter Table Setting ideas, that will help you set a beautiful table for your family and friends. You don’t need expensive things to make your table look nice for Easter. 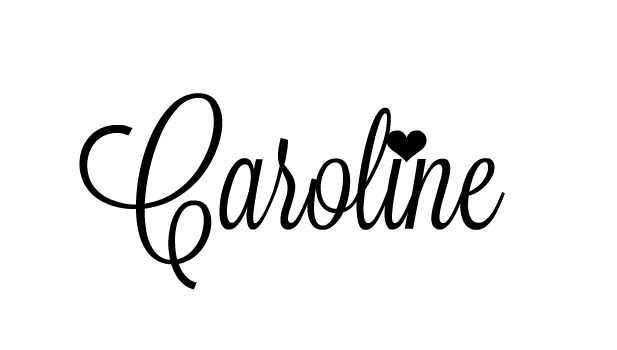 Just a little bit of time and imagination. 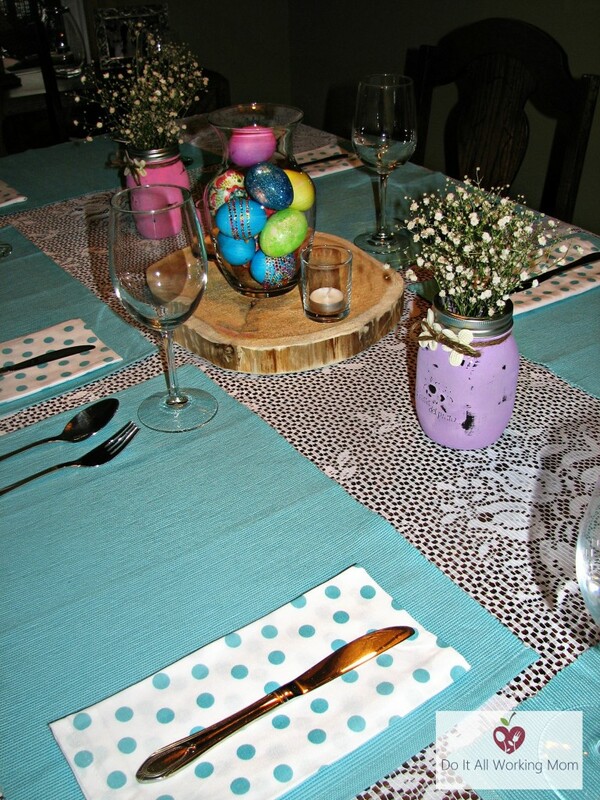 I don’t buy table napkins, tablecloths and place mats every year, but I hadn’t in a long time, so this year I bough these nice blue place mats and white and blue polka dots table napkins that are perfect for an Easter or Spring table setting. I used the Easter Eggs I decorated with my kids, and placed them inside a glass flower jar. I placed the jar on a wood slice and added candles. 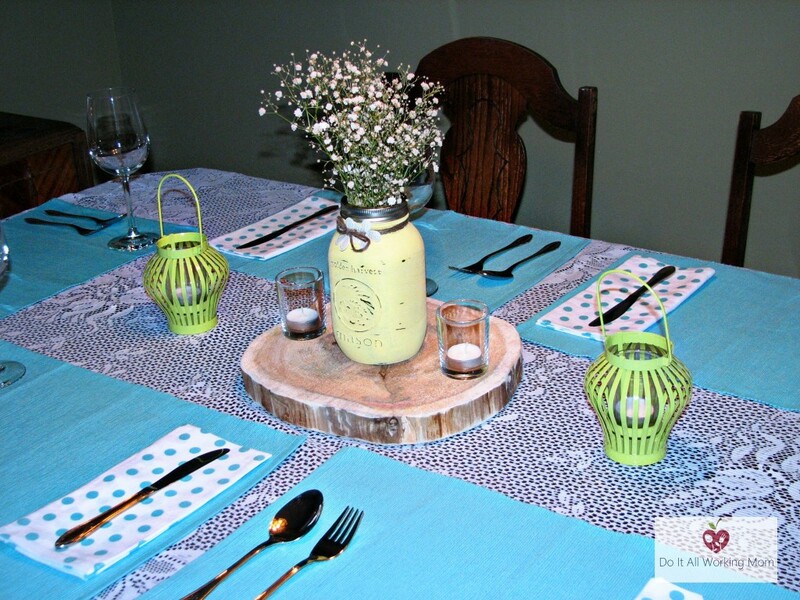 I also added two painted Mason jars with baby’s breath (from Costco) on each sides. That makes a lovely colorful Easter centerpiece. 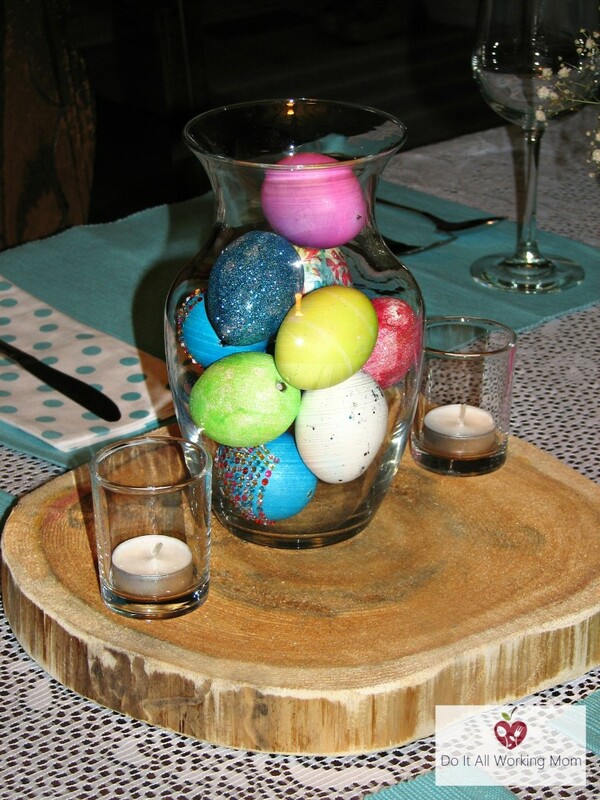 Just imagine how proud your kids will be when you display the eggs they’ve decorated as your Easter centerpiece. 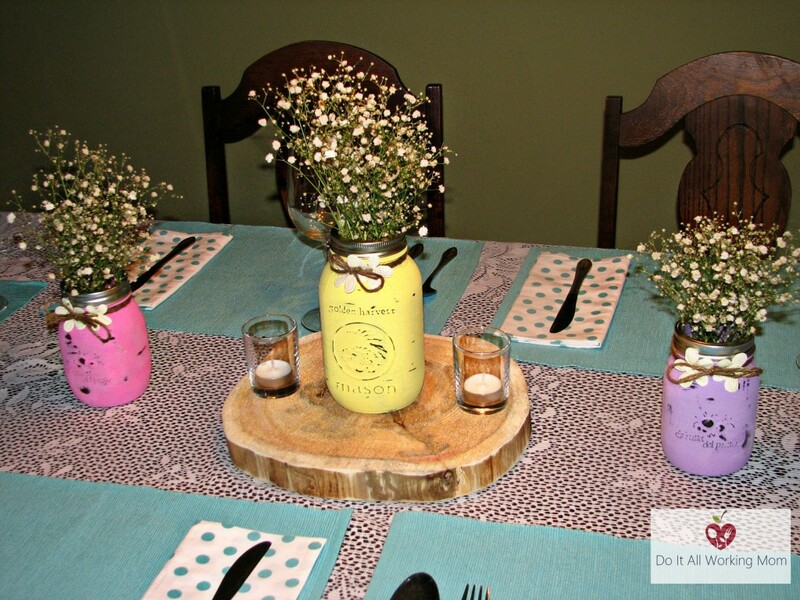 You could also use a larger painted Mason jar with baby’s breath. Or one painted Mason jar with two lanterns. I purchased the lanterns at the dollar store. 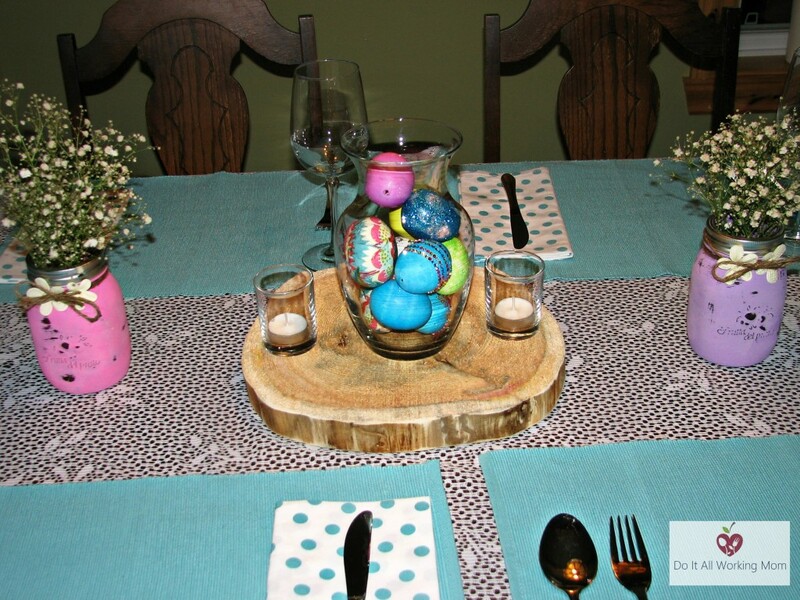 These are just a few ideas to help you create a nice and Simple Easter Table Setting. Hope these inspired you. Have a great Easter !